Kevin Pietersen MBE has been described by esteemed cricket legends as the Greatest batsman to ever wear an England shirt. Kevin made his debut for the England cricket squad in 2005. In an international career spanning a decade, he played 104 Test matches, scoring 8,181 runs at an average of 47.28. He has scored over 13,000 runs in all formats of the game and in 2013 became England’s all-time leading run-scorer. His sensational 158 score at the Oval in 2005, helped England secure the Ashes for the first time since 1987.
a fierce determination to overcome adversity and fight to help others, be it underprivileged children or threatened rhinos in Africa and India. more time and energy to conservation and community work. With the mission to save Rhinos from extinction, Kevin set up an initiative called SORAI (save our Rhino’s in Africa and India). Kevin Pietersen – Keynote – Busting the ‘Champion’ Myth. 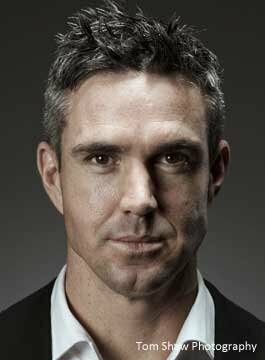 As an in-demand speaker, Kevin Pietersen delivers a 30 minute inspirational speech titled, Busting the ‘Champion’ Myth. During this presentation, Kevin discusses How do you get from good to great? What turns a talent into a Champion? He busts myths, shares confidences and explains how he has taken lessons from cricket into the next phase of his life. He’s honest, incisive and incredibly inspiring. Feedback from his talks has demonstrated the surprise audiences feel at the difference between the Kevin they think they know, and the Kevin they meet. In an after-dinner setting, Kevin delivers anecdotes from his cricket and media career in the form of a Q&A led session.